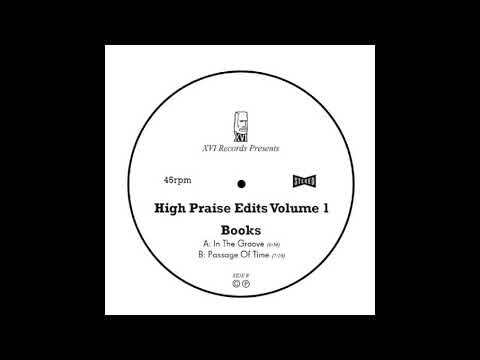 North London based producer, Books (soundcloud) aka Hugo Mari, makes his return to XVI Records after the stunning Feel It In My Bones EP, with his latest project, the High Praise Edits, Vol. 1. Short but sweet, the project contains two storming edits that show a different side of his usually deep, introspective productions, and we’re certainly not complaining because both are weapons crafted for devastating dance floor assaults. ‘In The Groove‘ comes out of the gate strong, immediately transporting the listener into the middle of a peak-time loft party chug session. Deep, iron-fisted drums pound, a busy guitar riff sets the rhythm, and soulful vocals ride above punchy synth brass creating an expertly mixed cocktail of sound. Books regularly impresses with his choice of instruments, seemingly always combining them with effects that mesh perfectly while never overdoing it. ‘In The Groove‘ is just another notch on a talented musician’s belt, and even though we’re already following along, Books most certainly has our utmost attention. As for XVI Records, they’ve consistently released excellent material, and we’re excited to see where label heads Joshua Byrne & Martin Love steer the ship next. We recommend that you keep an eye on the whole lot because it’s impossible to be disappointed by good music. Pre-order your copy via the XVI Records Bandcamp or Juno.